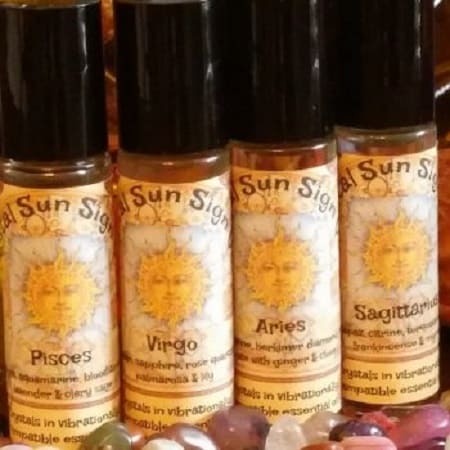 These wonderfully scented oils come in .05 ounce roll-on bottles and contain genuine crystals in vibrationally compatible essential oil blends. They are fantastic for daily perfume, sun sign energizing, Chakra work, energy healing, as an Aura Balancer, as a balancing perfume oil or simply as a “refresher” for your mind, body, & spirit! 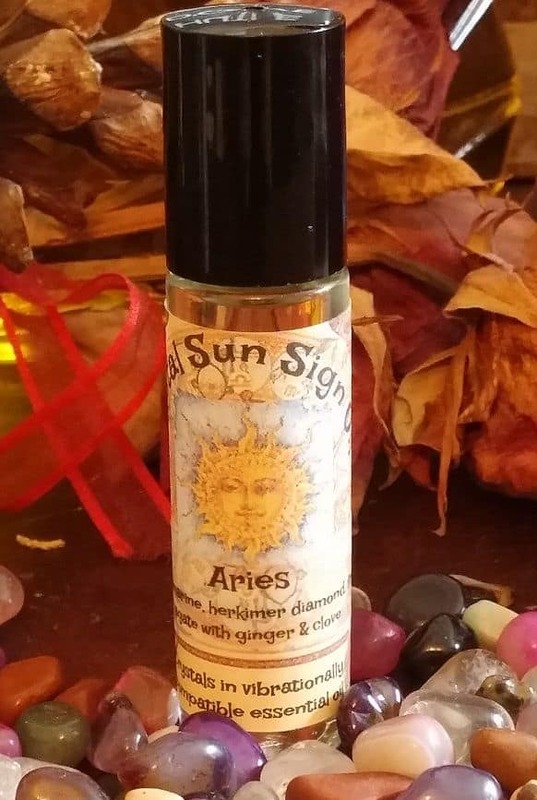 Andrew has created each essential oil blend from his Angel’s Mist 100% Pure Essential Oils. 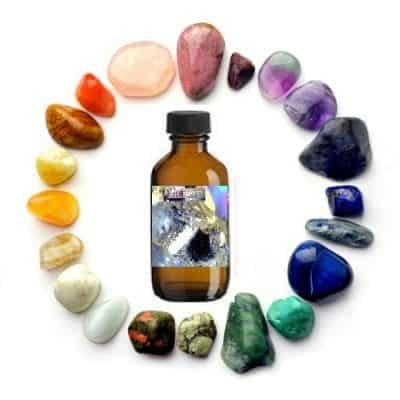 These ancient recipe blends were created for his Certification Course, “The Crystal Astrologer ~ Sourcing Astrological Answers Through Crystals”. 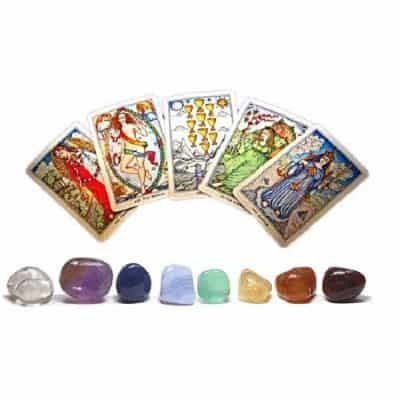 They are each enhanced with a combination of birthstones and crystals representing the birth month of each sign! Aries (Motivation) – Encourages motivation, stops procrastination. Stimulates blood flow. For issues associated lack of movement, procrastinating, lack of desire, self loathing, lack of success. Includes ginger, clove, aquamarine, herkimer diamond, fire agate. Taurus (Contentment) – Soothing blend to boost happiness, joy and security. To help reduce stress and helps you to unwind. For issues associated insecurity, unhappiness, not feeling fulfilled. Includes chamomile flower, Sweet orange, herkimer diamond, emerald, citrine. Gemini (Clarity) – Helpful for bringing about a clear head, open mindedness and clear vision. For issues associated with nervousness, foggy thinking, cloudy mental experiences. Includes bergamot, rose, emerald, agate, moonstone. Cancer (Certainty) – Designed for bringing about a feeling of security and feeling certain about yourself and your actions. For issues associated with restlessness, moments of feeling unclear or unsure. 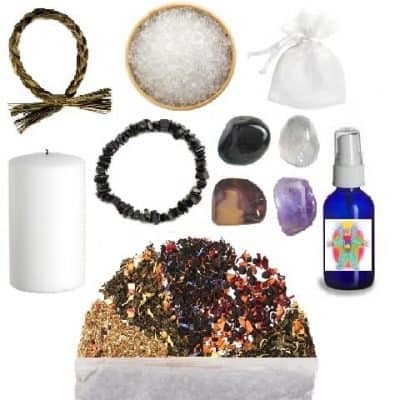 Includes patchouli, dark amber, agate, moonstone, ruby. Leo (Confidence) – For those who lack confidence, uncertainty and feeling on shaky ground, emotionally. For issues associated with lack of assuredness, pride and security. Includes rosemary, frankincense, ruby, carnelian, peridot. Virgo (Understanding) – Helps soothe a lack of understanding and upset due to misinterpreting situations. For issues associated with a lack of clear consciousness, defensive or confusion. Includes palmarose, lily, carnelian, sapphire, rose quartz. Libra (Acceptance) – Stimulating mixture for understanding and accepting issues beyond your comprehension. For issues associated with poor judgement, feeling threatened or uncertain. Includes orange, clove. sapphire, opal, lapis lazuli. Scorpio (Appreciation) – A great enhancer for appreciating what is in front of you. For issues associated with undervaluing yourself or what others offer you. Includes rose, jasmine, opal, citrine, garnet. 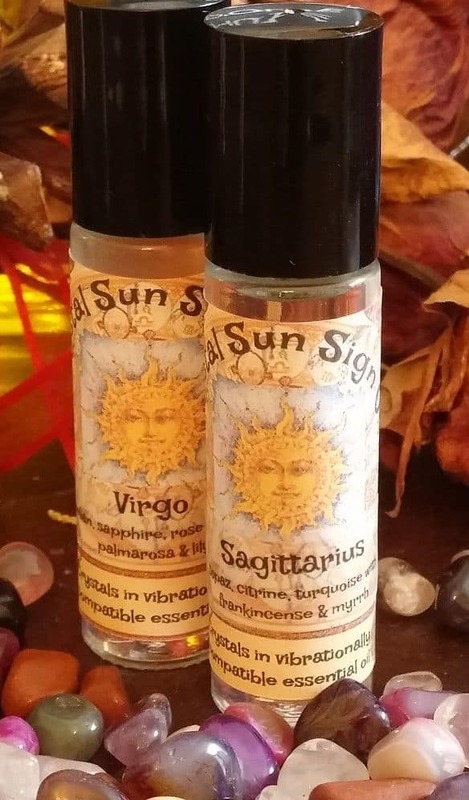 Sagittarius (Compassion) – This powerful blend will stimulate the heart and mind. For issues associated with a lack of compassion, caring, understanding and humility. 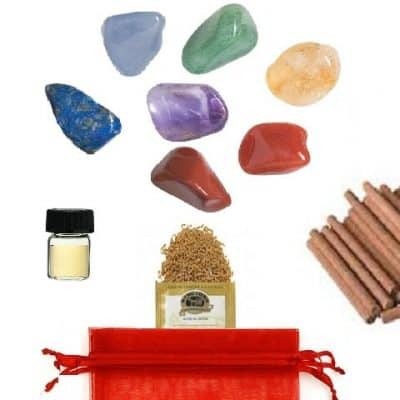 Includes myrrh, frankincense, topaz, citrine, turquoise. Capricorn (Flexibility) – Helpful for gently moving in the direction of an open mind. Allows for a more easy going persona. For issues associated with stubborn, close minded attitudes and beliefs and only seeing things one way. Includes peppermint, cypress, turquoise, garnet, fluorite. Aquarius (Gratitude) – Useful for creating a thankful and appreciative mind set. For issues associated with a lack of gratefulness, not accepting what you are given or honoring all you have. Includes basil, sage, garnet, amethyst, amazonite. 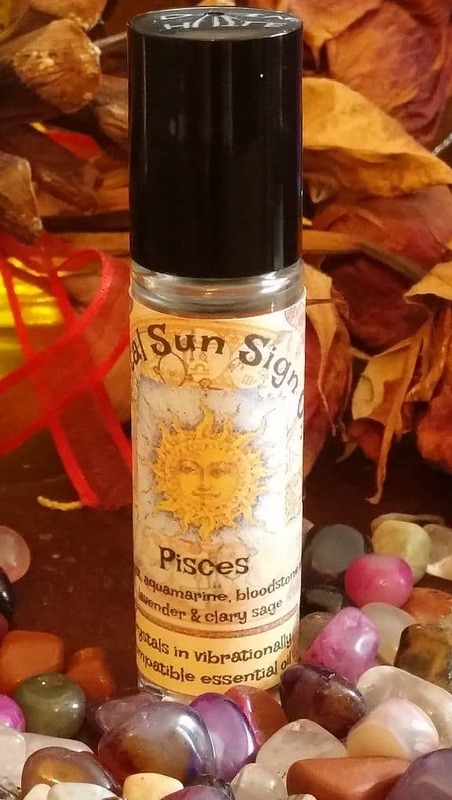 Pisces (Patience) – Provides a calming sense of peace and being centered. For issues associated with the lack of patience, serenity and room for others to grow. Includes lavender, clary sage, amethyst, aquamarine, bloodstone.